Winter Care: Reduce watering frequency during the winter months, but never allow it to dry out. Pruning: Prune to any desired length or shape as wanted. 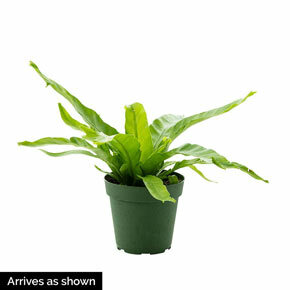 It will not affect the health of the plant as bird's nest ferns are very durable. 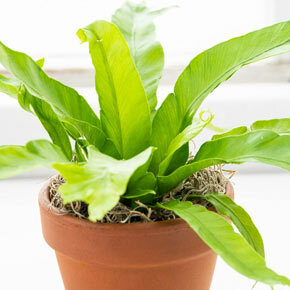 Soil Requirement: Bird's nest ferns will benefit from damp soil that has good drainage. They can also grow well in soil mixed with pebbles or gravel. Watering Requirement: Keep the soil evenly moist, but do not drown the fern in water. 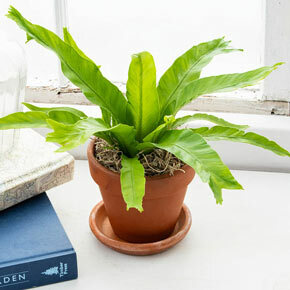 Bird's nest ferns also benefit from moderate levels of humidity and occasional mists when grown indoors as house plants.